« Les pauses are important! Swen and Kat met while working for Medecins Sans Frontiers in Africa. They have done a lot of bicycle travelling and now include Lucia aged 3 and Eliana aged 6 months! They live in Plagwitz, not far from the centre of Leipzig. After a big loss of population following reunification, Leipzig has grown in size and is now in the middle of a baby boom! It is nearly 25 years since the people of Leipzig led the way to reunified Germany with peaceful demonstrations, and they are now preparing to commemorate this anniversary. We visited the Museum in der Runden Ecke, with memorabilia and displays from the DDR era. I liked the large size letter-steamer-opening machine. Then a small musical pilgrimage to the Nicholai Kirche where the works of JS Bach were performed during his time in Leipzig. Our experience here was somewhat marred by a bad trumpet player who apparently decided to impose his playing on everyone in the church for no good reason and without authorisation. We went to Schumann’s house and then to Völkerschlachtdenkmal, a massive monument to the 1813 Battle of Leipzig. This was followed by wurst and senf (sausage and mustard). Let us warn anyone thinking of having currywurst- don’t have it! It is the ruination of an otherwise good wurst by the addition of curry flavoured gravy. We regretted it and so will you! 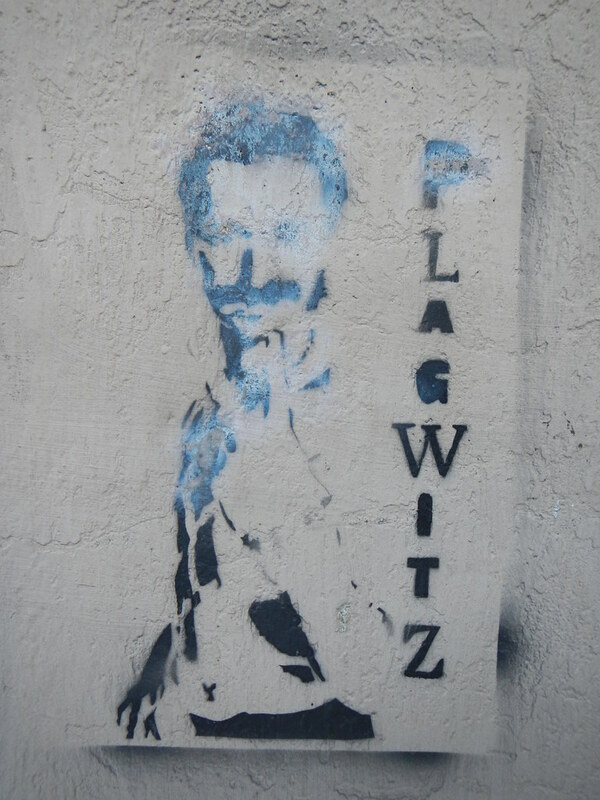 An evening walking tour of Plagwitz took us past a Nazi party premises to which there is ample local opposition, expressed with graffiti on the walls. This entry was posted on 25 August 2014 at 7:42 pm and is filed under Europe 2014. You can follow any responses to this entry through the RSS 2.0 feed. You can leave a response, or trackback from your own site. the Max Planck INstitute also v good there I remember tour of the ape enclosure -where they study ape evolution, language development etc and I remember seeing a childrens opera (part of conference) company I think performing Mozart on this occasion run by an Austrian colleague from Graz whom I later got to come to Adelaide to provide some training- an eccentric but amazing woman-so was the opera !